If you are in town to run or watch the famed New York Marathon, be prepared for a lot of excitement and a lot of traffic. Using NYC 2 Way transportation during your stay will make getting around the event and busy time easier. 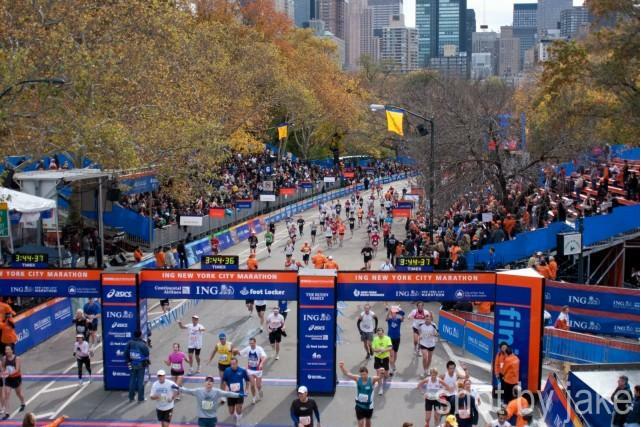 The New York City Marathon is one of the most prestigious long distance races in the United States, and contestants come from all over the world to participate. Spots in the race are so in demand that they are given out based on a lottery system. The race is held in early November every year and has been run every year since it began in 1970 except for 2012 when Hurricane Sandy devastated communities only the week before. Although the race was canceled, many runners still showed up to help with the clean up efforts. The first NYC marathon was organized by the New York Road Runners Club presidents Vincent Chiappetta and Fred Lebow in 1970. This is the same organization responsible for organizing the marathon ever since. The original course took runners on a big loop around Central Park several times. 127 runners started the race with only 55 crosses the finish line. Compare that to 2011, when 46,795 runner officially crossed the finish line. In 1976, as a way to celebrate the bicentennial, George Spitz, New York City auditor suggested rerouting the course to cover all five boroughs. This was supposed to be a one time event, but the race was so successful that it has been run this way ever since. The 2011 winner was a Kenyan man by the name of Geoffrey Mutai who covered the 26 mile course in 2:05:06, breaking the course record which had held strong for ten years. Mutai also won the Boston Marathon that year. If you are planning to run the race, there are a few things you should know. You cannot just show up and run. First you must register and gain entry in advance. When you arrive before the race, you have to register at Javits Center. This is where you will pick up your number. 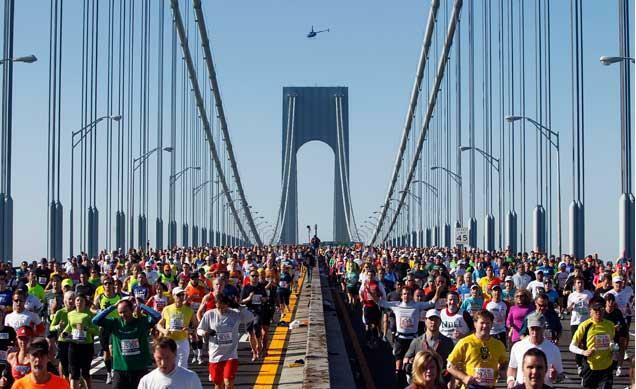 The race begins on Staten Island and you along with forty two thousand runners will be trying to get there. It is best to leave transportation to the professionals of NYC Two Way who will see that you get to the starting line on time. Remember that November weather in New York City can be a bit chilly. One insiders tip is to buy cheap track outfit to wear until the race begins. You can simply leave these at the starting line. Although this sounds like littering, it really isn’t! Those discarded clothes are gathered and taken to homeless shelters across the city. There will be two million spectator there to cheer you on. If you really want them to cheer for you, write your name in big, bold letters on your shirt. You will have people shouting your name and yelling encouragements the whole way! There are even apps available for your friends and family to track your progress even if they aren’t there! Be sure that you and your friends have a designated spot to meet the NYC 2 Way limo for your well deserved ride home. If you enjoyed this article then be sure to take a look at our wonderful collection of projects in our profile NYC 2WAY Limo containing hundreds of amazing photos and useful information. This entry was posted in The NYC Experience and tagged car service, information, limo, marathon, marathon photos, NYC 2 WAY, NYC 2WAY, NYC2WAY by nyc2way. Bookmark the permalink.